In the photos towards the top of this page, there is a bell visible, or the wheel that enabled a rope to turn the bell in order to chime the bell. That school bell was cast in 1884 and in 1913 was moved from the old frame-school to the brick grade school building. 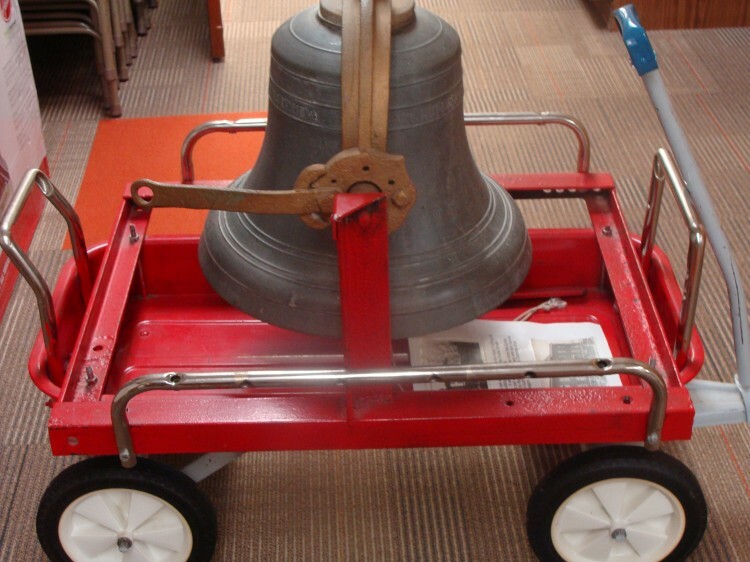 In 1974 the bell was taken down by Raymond Anderson and his son, Dennis. The bell is in the Ellsworth Library and is located in this wagon purchsed by Clarence Kuhl. 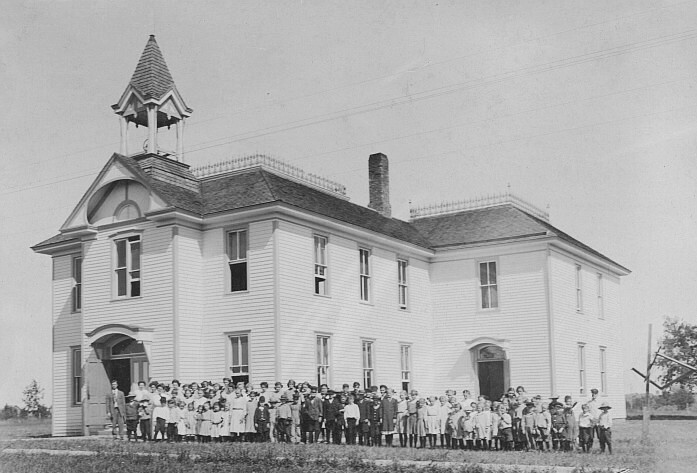 Carl R. Anderson built the frame to hold the old school bell. 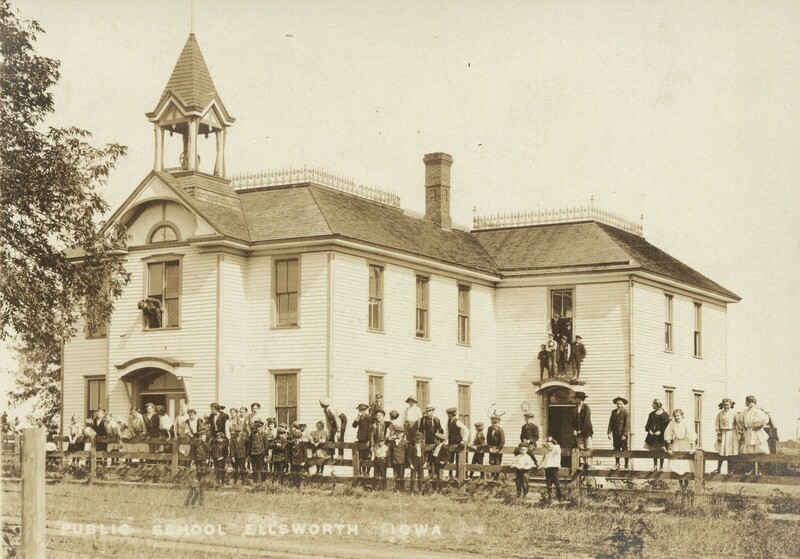 Young students and their teacher stand beside the Ellsworth public school while getting their picture taken. 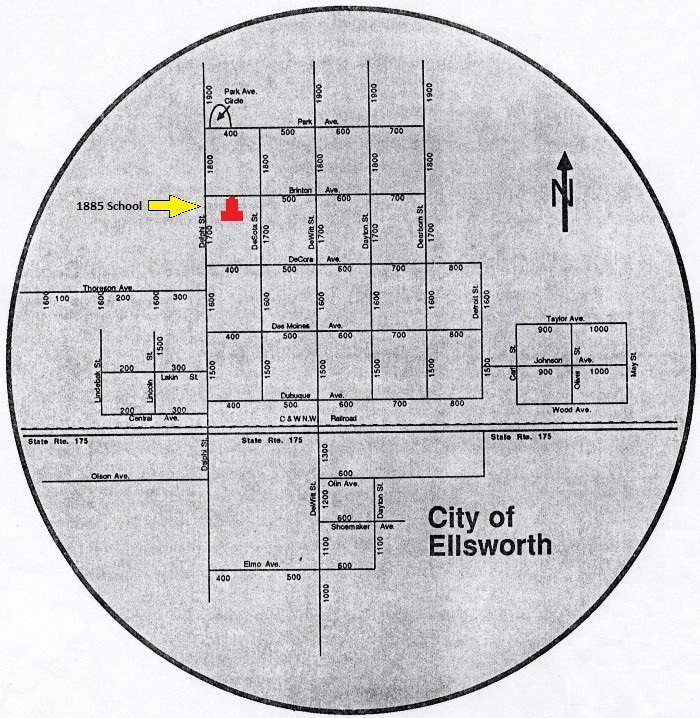 The map below shows where this 1885 Ellsworth Public School was located. 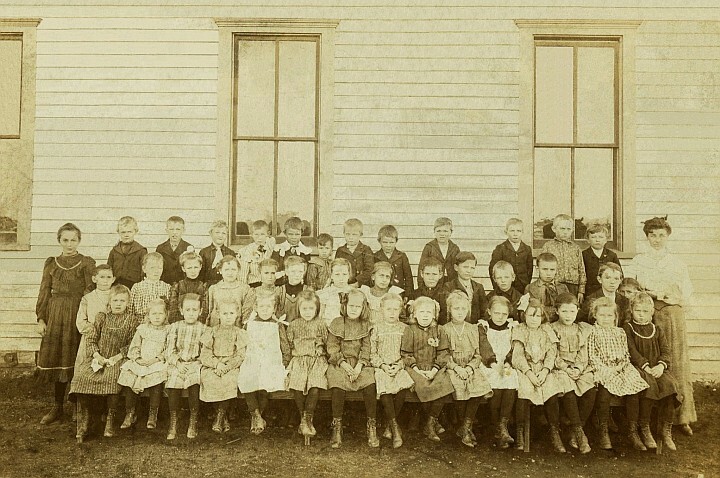 When no longer being needed as a school, his building was divided into two parts and after these parts were moved, they became two homes, one of which still survives today. 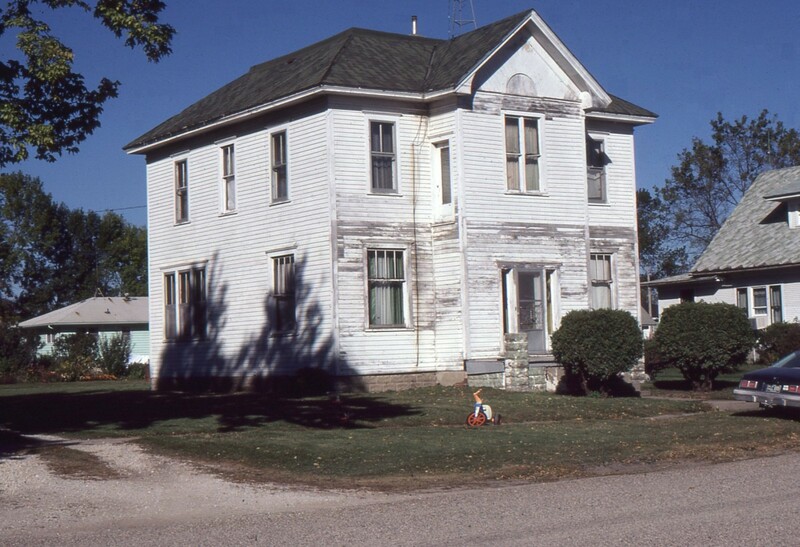 The house made from the back portion is on the east side of the street (Hovda residence, 1818 DeSota Street). 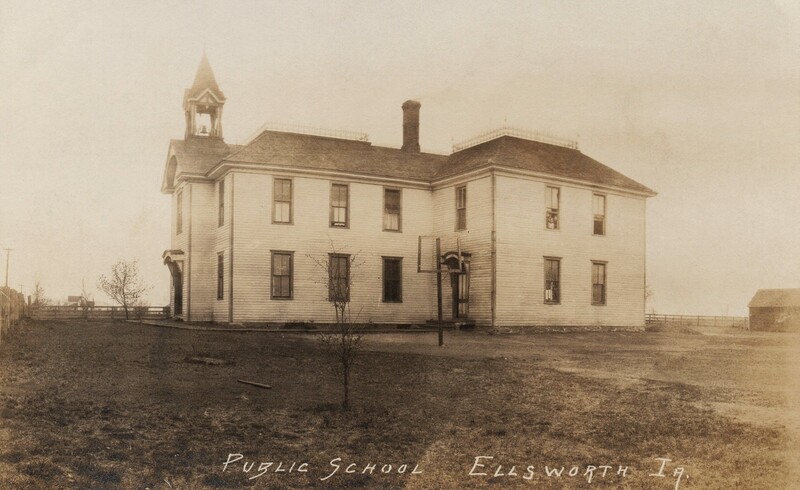 The other house (see below as E.G. 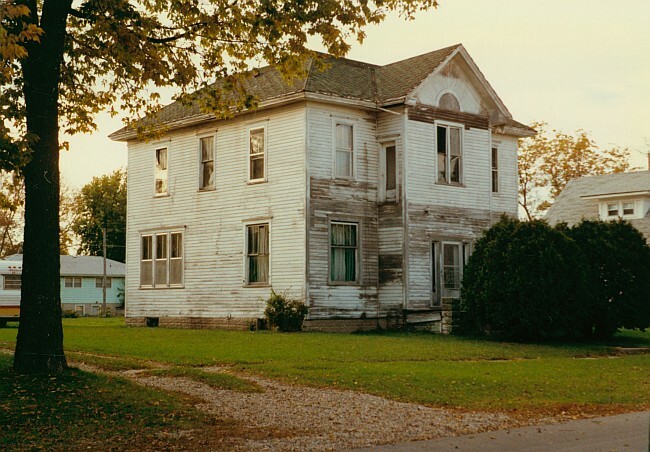 Peterson's home), made from the front portion, has been razed to make room for the Hemphill home at 1819 DeSota Street.